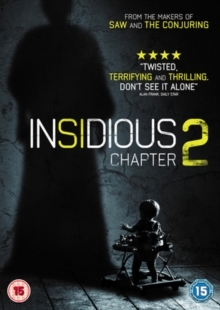 James Wan directs this supernatural suspense horror sequel starring Patrick Wilson and Rose Byrne. Picking up from where the last film left off, the Lamberts (Wilson and Byrne) have moved into a new home with their son Dalton (Ty Simpkins) and initially things are going well, but as the time passes it is revealed to them that whatever force was haunting them before still isn't finished with them. They are then tasked with uncovering what it is that ties them to the spirit world while desperately trying to hold on to their sanity.